Tolstoy's epic novel formed the basis of Prokofiev's epic opera which in turn is given an epic production here by Welsh National Opera. At nearly four hours long and with an absence of well-known 'tunes', War and Peace is not opera for the faint-hearted. But for those who do stay the course, it's well worth it. Set against the Napoleonic invasion of Russia, Tolstoy's story focuses on the rises, falls and relationships of a group of aristocratic families. Prokofiev too picks up their fates but his opera is very much a work of two halves. In the first, we follow the story of Natasha and her ill-fated love affairs alongside her friendship with Pierre, who secretly also holds a passion for her. But in the second half, their adventures are submerged in the battle for Moscow. There are strong historical reasons for this – Prokofiev was composing War and Peace during the Nazi invasion of Russia when again millions were being urged to die for their country. And there is no mistaking the message as the libretto, again and again, urges every Russian to shed blood for every inch of Mother Russia. This is a perfect opportunity for WNO's very talented chorus to shine as they fill the stage with numbers and the theatre with their voices. It's hard not to be carried away by their impassioned pleas to fight until the last man or woman is standing. Directed by WNO artistic director David Pountney and designed by Robert Innes Hopkins, the staging also truly brings the battles alive. With the set taking up just half of the height of the backdrop, the rest of the space comprises a huge screen onto which images of the war are screened. David Haneke's video projection takes us right into the battlefield at Borodino, though the flaming streets of burning Moscow and then into the frozen wastelands of the endless miles through which the defeated French had to retreat – with death stalking them at every pace. Lauren Michelle's Natasha is a naïve youngster who falls in love far too quickly and lives to repent at leisure. Her first and true love Andrei, performed by Jonathan McGovern, is a hopeless romantic whose final wish is to die in the arms of Natasha. Holding all of the strands together is the kind-hearted but somewhat foolish aristocrat Pierre, performed by Mark Le Brocq. Married at the beginning of the opera to the heartless Helene, he can only watch Natasha from afar. But as he comes to understand the value of life after narrowly escaping execution by the French he realises that he must follow his dream of love. 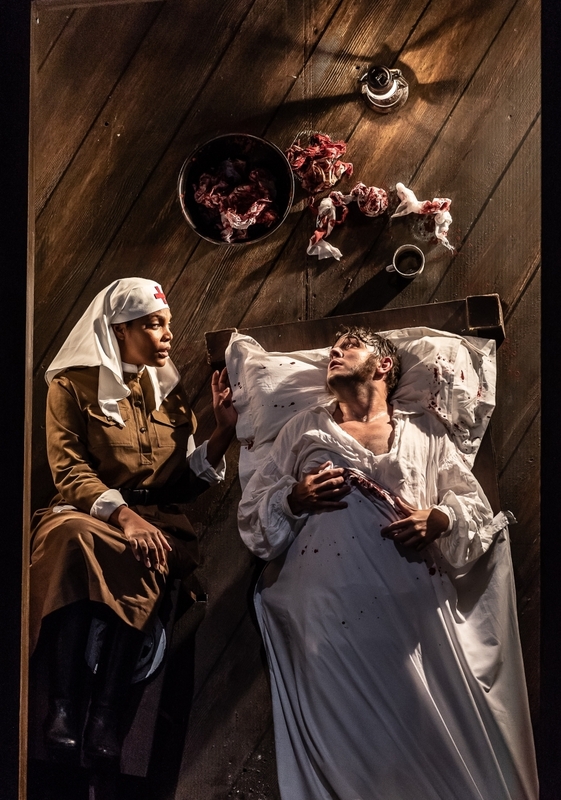 Performed at Birmingham Hippodrome as the finale to a week of WNO productions at the theatre, War and Peace shows what an opera company is capable of. 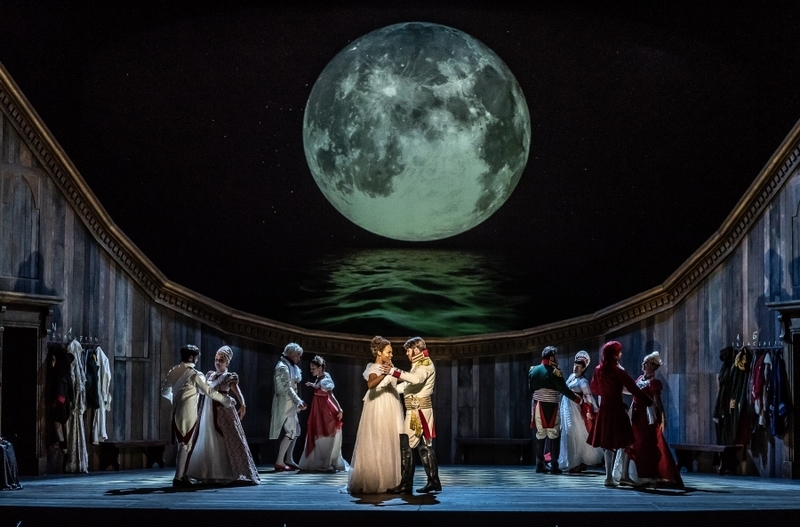 Ambitious in the extreme, this production really brings both Tolstoy's story and Prokofiev's opera alive and takes us alongside the tenacious Russians in their battle against foreign invasion. Furthermore, under the baton of Tomas Hanus its orchestra masters Prokofiev's dramatic music.